Dr. Di Rosa’s research activity deals with the induction and the maintenance of immunological memory by CD8 T cells, a highly specialized type of leukocytes controlling intracellular infections and tumors. Although several aspects of CD8 T cell memory have been clarified, a complete picture of the events involved in antigen-induced proliferation and differentiation from naive to memory CD8 T cell is not currently available, nor it is known how memory CD8 T cells are steadily maintained as seemingly quiescent cells, and yet are poised to promptly generate a huge progeny of effector CD8 T cells upon secondary response. A better knowledge of CD8 T cell memory is essential for our understanding of human diseases, including cancer, and the development of vaccines and of therapeutic and diagnostic modalities. 4) to investigate the protective function of BM memory CD8 T cells against cancer. A.B. Barroeta Seijas, S. Simonetti, S. Vitale, D. Runci, A.C. Quinci, A. Soriani, M. Criscuoli, I. Filippi, A. Naldini, F.M. Sacchetti, U. Tarantino, F. Oliva, E. Piccirillo, A. Santoni & F. Di Rosa. GM-CSF inhibits c-kit and SCF expression by Bone Marrow-derived Dendritic Cells. Front Immunol. 8: 147. 2017. F. Di Rosa. 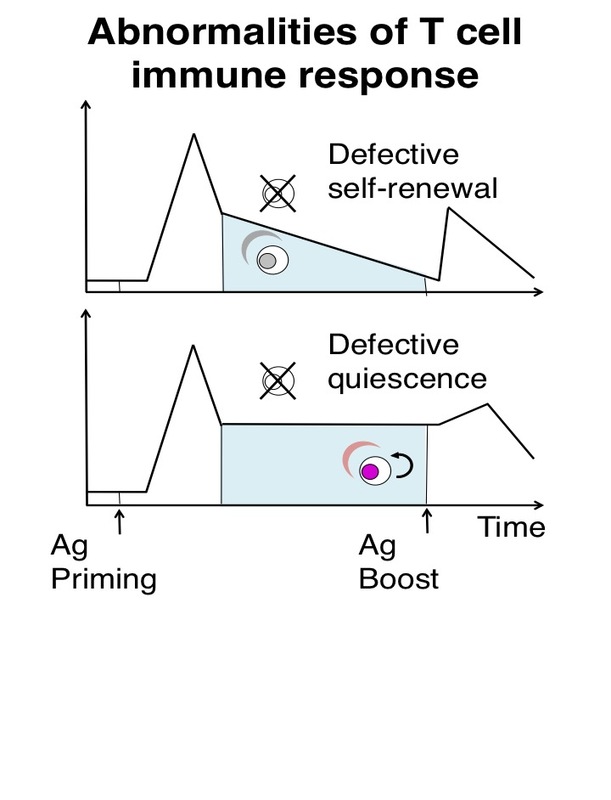 Two niches in the bone marrow: a hypothesis on life-long T cell memory. Trends Immunol. 37: 503-512. 2016. F. Di Rosa. Maintenance of memory T cells in the bone marrow: survival or homeostatic proliferation? Nat Rev Immunol 16: 271. 2016. F. Di Rosa & T. Gebhardt. Bone marrow T cells and the integrated functions of recirculating and tissue-resident memory T cells. Front Immunol. 7: 51. 2016. A. C. Quinci, S. Vitale, E. Parretta A. Soriani, M. L. Iannitto, M. Cippitelli, C. Fionda, S. Bulfone-Paus, A. Santoni & F. Di Rosa. IL-15 inhibits IL-7Ralpha expression by memory-phenotype CD8+ T cells in the bone marrow. Eur J Immunol 42: 1129-1139. 2012. F. Di Rosa. T lymphocyte interaction with stromal, bone and hematopoietic cells in the bone marrow. Immunol Cell Biol 87: 20-29. 2009. E. Parretta, G. Cassese, A. Santoni, J. Guardiola. A. Vecchio & F. Di Rosa. Kinetics of in vivo proliferation and death of memory and naive CD8 cells: parameter estimation based on BrdU incorporation in spleen, lymph nodes and bone marrow.J Immunol 180: 7230-7239. 2008. G. Cassese, E. Parretta, L. Pisapia, A. Santoni, J. Guardiola & F. Di Rosa. Bone marrow CD8 cells down-modulate membrane IL-7Ralpha expression and exhibit increased STAT-5 and p38 MAPK phosphorylation in the organ environment. Blood. 110: 1960-1969. 2007. F. Di Rosa & R. Pabst. The bone marrow: a nest for migratory memory T cells. Trends Immunol 26: 360-366. 2005. E. Parretta, G. Cassese, P. Barba, A. Santoni, J. Guardiola, & F. Di Rosa. CD8 cell division maintaining cytotoxic memory occurs predominantly in the bone marrow. J Immunol 174: 7654-7664. 2005. F. Di Rosa, & A. Santoni. Memory T cell competition for bone marrow seeding. Immunology 108: 296-304. 2003. F. Di Rosa, & A. Santoni. Bone marrow CD8 T cells are in a different activation state than those in lymphoid periphery. Eur J Immunol 32: 1873-1880. 2002. F. Di Rosa, B. Serafini, P. Scognamiglio, A. Di Virgilio, L. Finocchi, F. Aloisi & V. Barnaba. Short-lived immunization site inflammation in self-limited active Experimental Allergic Encephalomyelitis. Int Immunol 12: 711-719. 2000. B. Serafini, S. Columba-Cabezas, F. Di Rosa, & F. Aloisi. Intracerebral recruitment and maturation of Dendritic Cells in the onset and progression of Experimental Allergic Encephalomyelitis. Am J Pathol 157: 1991-2002. 2000. F. Di Rosa, S. Ramaswamy, J. P. Ridge & P. Matzinger. On the lifespan of virgin T lymphocytes. J Immunol 163: 1253-1257. 1999. F. Di Rosa & V. Barnaba. Persisting viruses and chronic inflammation: understanding their relation to autoimmunity. Immunol Rev 164: 17-27. 1998. F. Di Rosa, A. Francesconi, A. Di Virgilio, L. Finocchi, I. Santilio & V. Barnaba. Lack of Th2 cytokine increase during spontaneous remission of Experimental Allergic Encephalomyelitis. Eur J Immunol 28: 3893-3903. 1998. J. P. Ridge, F. Di Rosa & P. Matzinger. A conditioned dendritic cell can be a temporal bridge between a CD4+ T helper and a T killer cell. Nature 393: 474-478. 1998. F. Di Rosa & P. Matzinger. Long-lasting CD8 T cell memory in the absence of CD4 T cells or B cells. J Exp Med 183: 2153-2163. 1996. M. M. Epstein, F. Di Rosa, D. Jankovic, A. Sher & P. Matzinger. 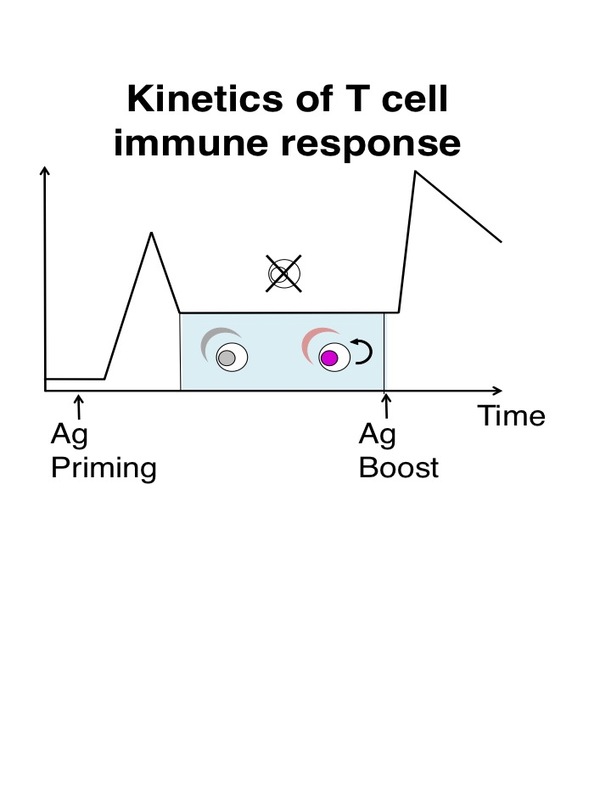 Successful T cell priming in B cell deficient mice. J Exp Med 182: 915-922. 1995. Since 2014 Dr. Di Rosa co-organizes the “Roman Immunology Day” (Giornata Romana di Immunologia, GRI), together with Dr. Luca Battistini (Fondazione Santa Lucia), prof. Angela Santoni (Sapienza University) and prof. Vincenzo Barnaba (Sapienza University). The GRI is a 1-day event that is held 2-3 times/year at Sapienza University or at CNR. It is a meeting of the immunology community in Rome usually having 1-2 lectures delivered by foreign invited speakers and 5-6 talks by local speakers.